» What is the Difference Between Anthropology and Sociology? Do you happen to garble terms? Sometimes I mix up long scientific nouns with a similar meaning. That’s how I decided to write about the difference of anthropology and sociology. As I did a small research to avoid the embarrassing linguistic mistakes in the future, you can also deepen your knowledge in this field. Despite the fact that these social sciences make a study of man, they are considering different aspects of a human being. The main object of this science is society and social relationships. Sociology studies the system of human relations in a group of other individuals. In other words, sociology searches the answers for the questions why and how people behave in a society. Moreover, sociology explores the understanding of the social constructions by humans themselves. The way people understand the idea of the social order and interact with the system is the key subject of the science. The main instruments of Sociology are surveys and researches based on them. Sociologists analyze different levels of social behavior starting from micro events to large social patterns. This social science is more complicated than the previous one. It consists of archeology, physical anthropology, linguistic, and cultural anthropology which study various aspects of the human existence. Anthropology covers physical and cultural features of a man. For example, archeology studies physical items as the part of the historical heritage of human existence, and cultural anthropology explores ethnic traditions and customs of diverse tribes or nations. In such a way, anthropology covers human experience throughout the history involving historical, biological, linguistic, and cultural features. Connections that appear between these social sciences reveal the fundamental basis of human development as an original culture. There is a variety of theories to study culture and anthropologists use it to distinguish frameworks of the exploring issues. When it takes to social anthropology then it is usually confused with sociology itself. Anthropology’s fundamental object is to comprehend human conditions from the past to the present and to use that information to make those conditions better. 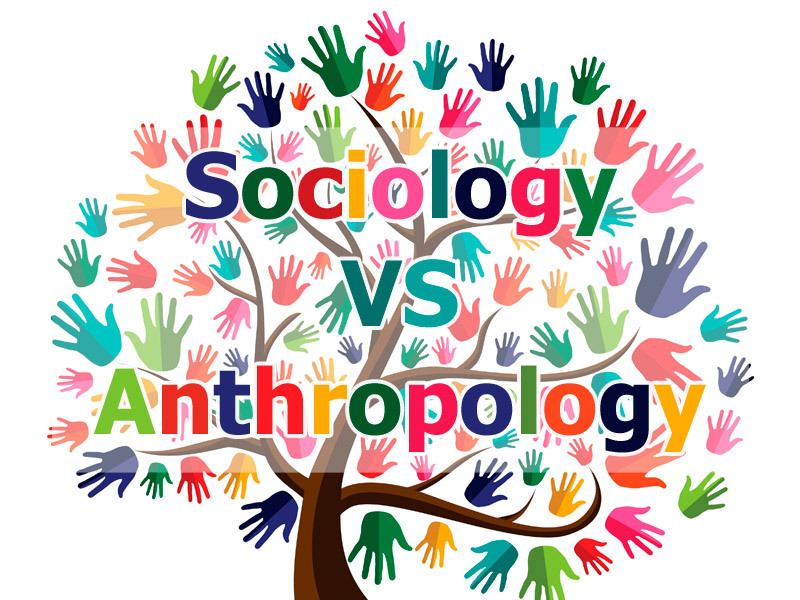 How to know the difference between Anthropology and Sociology? Sociologists study the society and anthropologist study the culture. In such a way, there’s an essential difference between sociology and anthropology. When the first science focuses on modern social order, the second one explores civilizations and their cultural background. Despite all similar features, these social sciences study different features of human existence in this world.